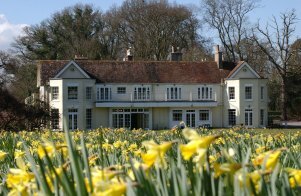 The style and elegance of this lovely 18th century Manor House set in 8 acres of beautifully peaceful grounds on the edge of the New Forest, combined with friendly and efficient service makes the Tyrrells Ford Country Inn an ideal venue for special events. Whether you are planning a special dinner with friends, a party, disco or dance, or a wedding for up to 150 guests, the management and staff at the Tyrrells Ford Country Inn are on hand to give you all the help and advice you could need. Our award winning chef has a variety of mouth watering menus to suit every occasion, so whatever the event, you can be assured of high quality cuisine combined with attentive service at all times. 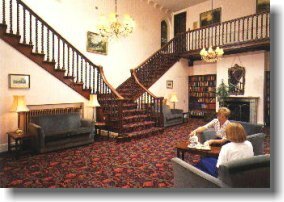 Tyrrells Ford has a magnificent Minstrels' Gallery Lounge which is licensed for civil weddings. The wood panelled restaurant overlooking the lawns is able to accommodate up to 150 guests for an afternoon and evening reception with music and dancing. 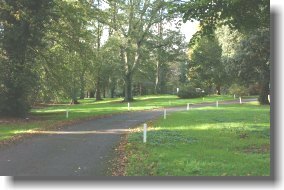 Tyrrells Ford is a popular venue for weddings and receptions, with its 8 acres of beautiful and secluded woodland and extensive lawns to provide a perfect setting for your special day. For the perfect romantic wedding, come to Tyrrells Ford Country Inn - you can even arrive by helicopter! 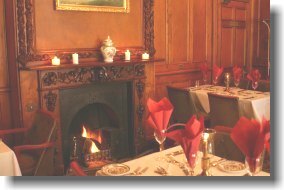 Why not make your celebration extra special by having dinner in our wood-panelled restaurant. Whether you’re looking for a romantic meal for two, a dinner for a few friends or a larger celebratory party, our friendly staff will ensure your visit to the Tyrrells Ford is memorable and fun. Our extensive cellars hold an excellent selection of wines to suit all tastes and pockets and we have spent much (enjoyable) time putting together our wine list for you to enjoy! 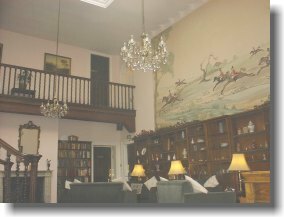 Tyrrells Ford has a magnificent Minstrels' Gallery Lounge and our restaurant overlooking the lawns is able to accommodate up to 150 guests for any kind of party, birthday, anniversary, or special celebration with music and dancing. At the Tyrrells Ford Country Inn you will find the perfect venue for all types of SME business events. If you are looking for a small conference venue or place for business meetings, then we provide perfect surroundings in which to conduct your business in peaceful and private seclusion. Wireless Internet access is available at no extra cost. When your meetings are complete, your delegates can relax in our bar, then enjoy lunch or dinner in our restaurant where our staff will take excellent care of your needs. Should you wish to plan a longer conference or meeting, we have 14 en suite bedrooms available, all of which have been individually decorated with charm and equipped with facilities required by today's business guests. 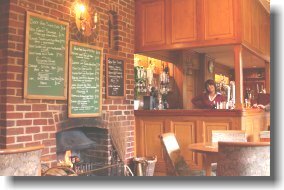 The Tyrrells Ford Country Inn is ideally located on the Hampshire/Dorset borders just 3½ miles from Bournemouth International Airport, on the edge of the New Forest between Ringwood and Christchurch, just 4 miles off the A 31 and the same distance from the A35. We are 15 minutes drive from Bournemouth, 1½ hours from London Heathrow Airport and only 20 minutes from Southampton. If you would like to plan an event at the Tyrrells Ford Country Inn please contact us by going to our "contact" page, or telephone us directly on 01425 672646.